You’ve heard the saying, “Don’t put the cart before the horse” – so why would you try to overcome your IT challenges, before you understand what’s causing them? 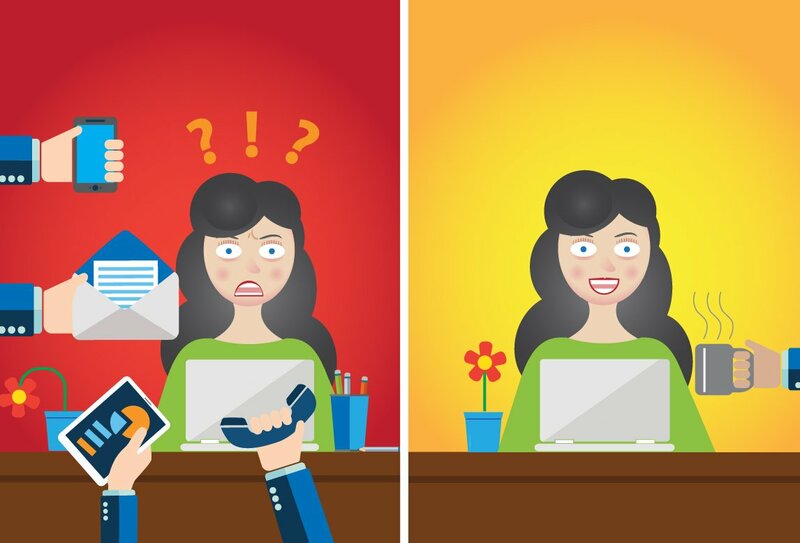 Every year, technology changes, and so does your business. As technology advances, you might feel like you’re falling behind and as your business grows, you may need more from your technology. You live these challenges everyday. Sometimes it takes an outside perspective to discover new opportunities – and see your situation in a new light. That’s exactly what we do. Our unique True Network Evaluation (TNE) is designed to analyze and identify your IT strengths and weaknesses. From there, we put together a plan to help move your business forward. The TNE is for businesses, like yours, who want to get the most out of their technology. To do that, we uncover and break down the barriers that are holding you back. 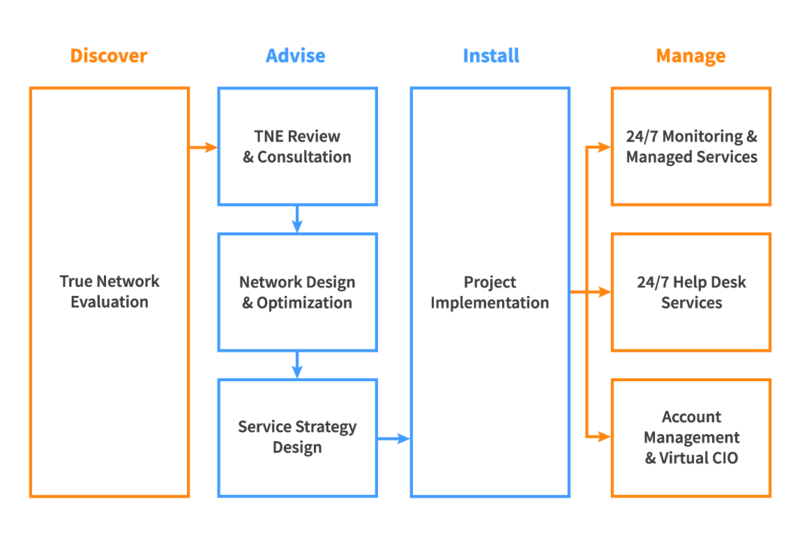 To accurately plan your network design or service strategy, we’ll need to get to know you – the real you. This includes your specific technical specs, human resource requirements, and future business goals. It all starts with a half-day, onsite visit from one of our top-level network engineers. They’ll inventory infrastructure, test systems, identify hidden technical issues, and uncover opportunities for untapped productivity. And not to worry – this onsite process will not affect your day-to-day operations, nor does it come with any obligations. After the initial evaluation, our team will create your custom Network Simplicity Plan (NSP), as part of your TNE. This plan focuses on, and provides you with, a letter grade in four main areas of performance: network infrastructure, network security, backup & disaster recovery, and IT service strategy. In addition, you’ll receive a detailed, relevant analysis for each area. 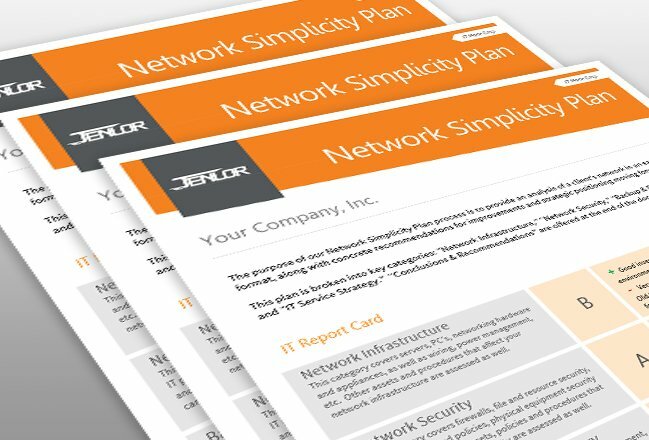 You’ll have an updated, detailed inventory of your network specs and a 1-3 year IT Roadmap broken into phases to align with your budget – all in one easy-to-read document. We want you to understand exactly what you need and what it will take to implement. The report doesn’t just tell you what’s wrong – it outlines real solutions and actions to maintain and improve your existing system. Sign on. Get it right. So what’s next? Whether you choose to move forward with us or not, you can be confident that the team who devised the plan can also get the work done. We can handle everything or work side-by-side with your internal team. We’ll coordinate strategy meetings that unite all parties towards common goals and complete project scoping, laid out in phased approach. Our budgets are ironed out prior to kick-off and projects are implemented as planned – on time and on budget. The result is happy business owners, happy employees, and a solid beginning to a long-term partnership. You can take comfort in knowing that you avoided unforeseen deployment problems, jeopardized timelines, budget increases, end-user frustrations, hacked together resolutions, and internal turmoil. Can your business benefit from a TNE? Of course it can. If you’re ready to get started or want to learn more, let’s talk. Fill out the form or give us a call to schedule your TNE.